Real Estate appraisers are under pressure to ‘tweak’ the numbers and when they do they are guilty of appraisal fraud. A real estate appraiser who doesn’t tweak their numbers to fit their lenders’ needs is an appraiser that doesn’t work. It’s that simple. With the rise in real estate prices over the past few years, loans have grown larger in value. The last thing lenders want is a bad surprise during the closing process. Appraisers that won’t “work with” the lender will not get work. There is no way of knowing exactly how much appraisers adjust their numbers to meet the needs of lenders, but the based on the interest being received from Congress recently, we can guess that it is a lot. People in the mortgage industry acknowledge that appraisal fraud is very common. The way appraisal fraud works is really quite simple. When somebody approaches a mortgage lender about refinancing their home, they receive a “good faith” estimate for the loan. This estimate includes a value for their home. This value is the minimum amount needed to complete the loan. Appraisers are hired by the very lenders who need the number. Rather than being independent in doing their jobs, appraisers are really in a situation where they work for the lender. There are lots of other appraisers that a lender can turn to when they need to meet their number. An appraisal that comes in too high or too low can wreak havoc for both borrowers and lenders. For example, suppose that an appraiser tweaks their number to show that a home that is worth $300,000 is worth $350,000. The borrower can then decide to cash out some of this false equity. Then, if they decide to sell the property, when they will only get a price that the market will bear, they won’t be able to sell the property for what they owe on it. From the lender’s point of view, they can end up with the short end of the stick should they have to foreclose on the property. In the same situation, they too may not be able to get the amount of money that they lent for the property. Appraisers, tired of being pressured into inflating home values, are leading the charge for reform. Appraisers blame mortgage brokers and lenders for the appraisal fraud epidemic. The brokers are paid on commission, and are also under great pressure to close their mortgages. Appraisers fear that a correction to the housing market may make the existing problem far worse. So far, Congress has been unable to enact change. The real estate industry will continue to push for change. All that is left until then is to try to avoid appraisal fraud. Hire your own appraiser – You have to pay for an appraisal when buying or refinancing a home anyway. It is well worth the money to know that the risk you are taking is legitimate. Use an ethical appraiser – Given the severity of the problem, this is not an easy task. 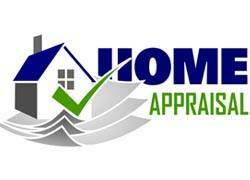 Make sure that your appraiser is state certified. Ask for references – It may be better to look for an appraiser that works for banks rather than one who works for mortgage brokers. Banks will be more likely to hire competent and ethical appraisers. Most appraisers are hard-working, honest people. When they are pressured by lenders, however, their livelihoods are threatened making it necessary for them to do whatever they have to do to stay in business. Unfortunately, you have some that are more than happy to work with the lenders and bring in the number that they need to close their deal at any cost. Most appraisals are fraudulent and have been for years. Everyone knows it and nobody does anything about it. Hey Jim -What are you basing that on ? I am a mortgage rep and see that WF made the contract work when it should have come in at least 10% lower based on the MLS recent comps- distressed area in northwest NJ . First time buyer is too anxious and realtors dont care, not advising right. The executor to my mother’s estate prevailed on her in 2005 to give a nephew a $300K loan. They duped her into doing this with a HELOC. When she passed away in 2013 both the executor and nephew claimed the home value at $350K before an appraisal had been done. Afterwards their appraiser gave it $360K. With that appraisal they attempted to sell it to the nephew’s friend (to flip it) for $350K – twice. The court blocked the first sale: second fell thru. So it went on the open market. In four days it was bidded up to and contracted for $401K from a rehabber. However, the exec’s attorney forced a drop to $376K so as to avoid scrutiny from the court. The HELOC had a credit line of $333,700 in 2013. Chase Bank does not permit a HELOC for over 80% of a home’s value. Draw your own conclusions. Is there anything that a person can do if the bank had a building appraised for $1,380.000.00 in 2008 that had been appraised before that for $689,000. They raised the loan on the building to $800,00 2 years later without letting us know about it they had another appraisal done for $650.000 and then want us to pay the loan because it was up side down. Why aren’t their laws against appraisal fraud???? This is where it all starts from. I “had” friends in LA area in my 20s who have friends that are appraisers. And would over value properties for them all the time. So they would cash out, or sell property to a dummy friend who had no job even and cash out big time!!! Just today I saw a townhouse/condo for sale by owner who got it appraised for 720,000.00 when 6 months ago a similar one on the same street sold for 530,000.00. How is that possible? Realtor KeXXX XXXXXXX with Reality XXXXXXX wouldn’t even give me his mls number to report the fraud. He’s rep the seller. So its a big money for him to be quite. Appraisers should be policed as well as realors. This is why the housing crash happened and I see the realors and Appraisers are back to their old tricks again….Not Laws in place to stop them…. This is one career where you dont even need a g.e.d. or high-school diploma and with a pin you can ruin the housing market and the United States economy. Btw, I forgot to put the city this is happening at right now. Rancho Santa Margarita, Ca. Condo/townhouse is on the rsm lake. Anita, In Ohio appraisers need a 4 yr college degree plus 120 hours of appraisal courses, 2500 hours of apprenticeship in no less than 2 years. Then they have to take a state appraisal exam the takes about 6 hours and have a passing grade of 75 % or more. So I am not sure where you got your information but it is truly wrong. The housing crash was caused by deregulation of the mortgage industry. No Doc, no verification loans were the cause. This meant borrowers did not have to prove their income and could simply state what they made. Many were persuaded by Loan offices to “add false income to their application so the loan would be higher. Loan offices were paid percentage s of the loans, Appraisers get one fee and it does not matter what the home appraises at the fee does not increase. .The normal fee is 250-yo 450 depending on the state. now you also have to know when appraisals came in high the borrows did not complain about the thousands of dollars the got when they were allowed to be given a check by the lender. They were fine knowing the money they were given was more than the house was worth but they never said anything just cashed the check and went on vacation. When they could not make the payments because they lied on the application about their income…..then they screamed how wrong the appraiser was. funny thing is they never said a word BEFORE they were handed the check. The banks threatened the appraisers to make the value work . The banks made out the borrowers made out and the appraisers got 250.00 appraisal fee and then THE BLAME. Put the blame where it is earned. The AMC are now threatening the appraisers just like the banks did. Do what we want or we will make sure you don’t work. Many appraisers have families, children to fee and bills to pay this is their job and the AMCs are threatening their incomes. As wrong as it seems on the appraisers part what about the lenders, AMCs and the borrowers? They benefit thousands of dollars while all the appraiser gets is his 250-350.00 fee. Look who makes the most and then you will find who to blame. I agree with Ohioshere. From the beginning of time to present day, the powerful people (entities) always have a grip on their subordinates. I have started researching the mortgage crisis that happened a few years ago and it seems that the most damaging party was the banks/lenders. If they did not allow the damaging practices to advance, many borrowers would not have been influenced to make foolish borrowing decisions. So as you can see, the banks or people with money will always stay on top.